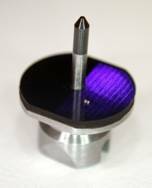 2011/2 - Blog - Count On Tools, Inc.
Count On Tools Inc., a leading provider of precision components and SMT spare parts, introduces its new series of Custom SMT Pick-and-Place Nozzles for 0201 and 01005 Micro-Components. By working closely with a component manufacturer and leading EMS companies, Count On Tools guarantees secure picking of all fragile micro-components and accurate placement on the circuit board. Micro-components are unique because they require special handling operations to prevent damage and allow precision handling during the pick-and-place process. Count On Tools SMT nozzles for micro-components are specially designed to allow maximum vacuum geometry for less mis-picks from the feeder, better handling during transport, and accurate and reliable placement on the circuit board. The new series of micro-component nozzles is available in ceramic, high performance plastic and rubber versions to accommodate specific process application requirements. Count On Tools’ custom SMT nozzle designs for micro-components can be applied to any style of pick-and-place nozzle for any OEM or machine type (including, but not limited to: Assembleon, Fuji, Juki, Mirae, MYDATA, Panasonic, Samsung, Quad, Siemens, Universal, etc.) that can handle 0201 or 01005 components in their feeders/software. Ceramic, rubber and plastic tip styles are available. Additionally, Count On Tools can provide a finished nozzle in as little as one to two days of receiving component samples or specification documents and save customers up to 50 percent over OEM designs for custom nozzles. There are no design fees and the company provides free quotes based on the equipment and type of micro-component being placed. Count On Tools Inc., a leading provider of precision components and SMT spare parts, now manufactures RPS Automation Selective Solder Risers for the Opus range of selective soldering machines. As selective soldering becomes more popular in the electronics manufacturing industry, Count On Tools has realized the need for higher quality selective solder nozzles that can consistently apply flux and solder to component leads without disturbing nearby SMT components. Count On Tools custom selective solder nozzles assist to replace labor-intensive hand soldering while eliminating defects caused by wave soldering machines in the market’s most popular selective soldering equipment. In addition to providing replacement risers for Opus RPS Selective Soldering equipment, Count On Tools also specializes in custom selective solder nozzles based on specific application requirements. This includes special wave form sizes and extended or shortened lengths. Generally, these nozzles can be completed in three to five days with savings up to 50 percent less than OEM nozzles. Count On Tools also provides identification marks that enable customers to easily identify lead nozzles from lead-free versions. By utilizing superior steel alloys made in the USA, along with the latest precision machining technologies, Count On Tools is able to produce selective soldering nozzles and risers that are more durable and last longer than those from the OEM while still maintaining all of the original Gaussian design properties. The unique nozzle design increases solder wave height and precision, improving the ability to solder in tight spaces and around nearby components. “During the development of our selective soldering product line, we strived to design a nozzle that would outperform OEM designs by lasting longer without wearing, being both more accurate and working more consistently over time in the selective soldering process. These three processes are critical in the function of this equipment. We were able to not only meet this goal, but also to lower the cost of the product,” said Zachery Shook, Marketing Director of Count On Tools, Inc.
All nozzles and risers are guaranteed to function properly with the original equipment. Every selective solder product manufactured by Count On Tools comes standard with a 100 percent satisfaction guarantee. If any customer is not 100 percent satisfied with the performance or quality of a product, Count On Tools will replace it or offer a full refund. Count On Tools Inc., a leading provider of precision components and SMT spare parts, introduces MYDATA Replacement Feeder Springs for Agilis feeders. The replacement feeder springs are the only available option for repairing damaged feeders and provide a cost-effective alternative to purchasing new feeders. MYDATA Replacement Feeder Springs for all remaining sizes of Agilis feeders (3.7, 4.0, 5.4, etc.) are currently under development and are expected to be released later this year. The MYDATA product line from Count On Tools is the only direct replacement for OEM products on the market that offers a high productivity, low-cost alternative to OEM tooling and consumables. Count On Tools knows that productivity is important to stay ahead of the competition and maintain profitability. As a result, the company developed the new feeder springs. The MYDATA range is compatible with the following machine types: TP9-1, TP9-2, TP9-3, TP9-4, TP11, TP12, TP18, MY9, MY12, MY15, MY19 and MY100 (SX/DX). In addition to the replacement feeder springs for Mydata Agilis feeders, Count On Tools also manufactures replacement tooling nozzles for all Mydata equipment, including Standard Midas Nozzles (A12, A13, B12, C14, A24S, etc. ), Custom Midas Nozzles (B34 Melf, Grippers, LED Nozzles, etc. ), as well as Hydra Nozzles (H01, H02, H03, etc.) and other spare consumables (filters, grease, spare tips, etc.). 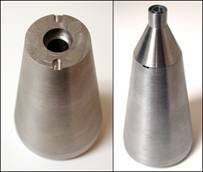 Count On Tools’ current technology can be extended to special applications, such as custom engineered nozzles for odd-form components based on customer specifications. All SMT consumables are guaranteed to function properly with the original equipment. Every product manufactured by Count On Tools comes standard with a 100 percent satisfaction guarantee. If any customer is not 100 percent satisfied with the performance or quality of a product, Count On Tools will replace it or offer a full refund.